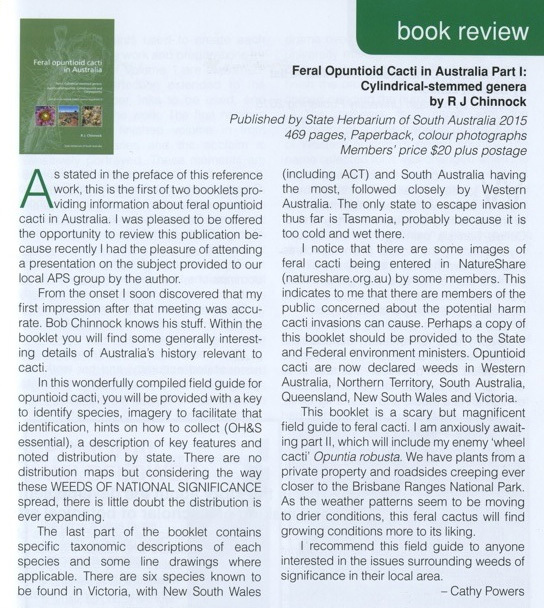 The State Herbarium of South Australia has now published the first part of Bob Chinnock’s revision of weedy cacti in Australia. A field identification section will provide an easy means to identify the plants and the taxonomic section will contain detailed descriptions and notes on every species. Introductory chapters on opuntioid morphology, how to collect and prepare pressed specimens, dispersal and biological/chemical control, and a glossary complete the book. 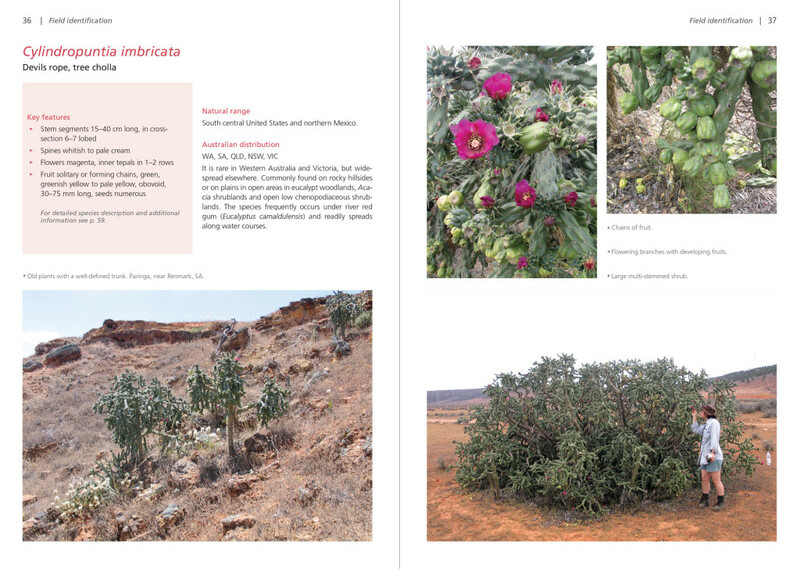 Part II, containing the flat stemmed genus Opuntia (incl. Nopalea) is currently in preparation. 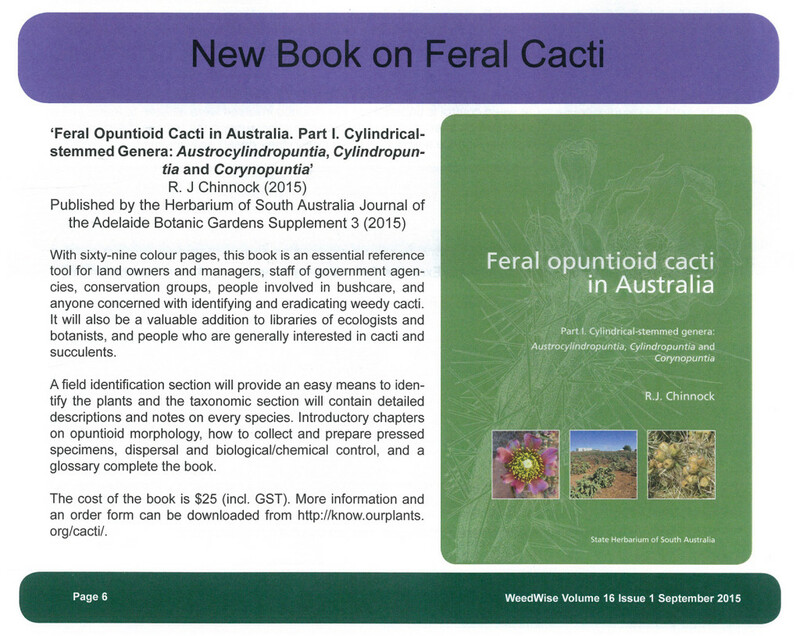 This book is an essential reference tool for land owners and managers, staff of government agencies, conservation groups, people involved in bushcare, and anyone concerned with identifying and eradicating weedy cacti. It will also be a valuable addition to libraries of ecologists and botanists, and people interested in cacti and succulents. State Herbarium of South Australia, PO Box 2732, Kent Town, SA 5071, Australia. Books can also be bought in person from the Botanic Gardens of South Australia front desk (Goodman Building, Hackney Road, Adelaide). 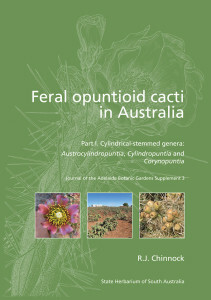 Please contact the Editor of the Journal of the Adelaide Botanic Gardens for further details.